Our facilites provide the following services below. Please click on a service name for more information. 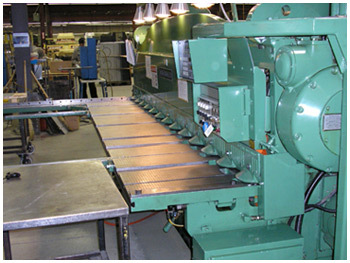 – 1‚ Cincinnati 10’ Shear with computerized backgauging Capacity ¼" thick 120" sheet size. 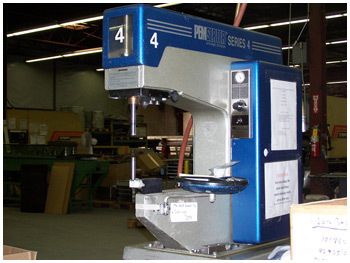 – 1‚ Cincinnati 12’ Shear with computerized backgauging Capacity ¼" thick 144" sheet size. – 1‚ Edwards 4’ Shear with power backgauging Capacity 12 gauge 48" sheet size. – 1‚ Pullmax Circle Shear‚ Capacity 10 gauge 48" throat depth. – 6, CNC Strippit FC1000 Fabricentres, Capacity 10 gauge 36" x 96" sheet size. 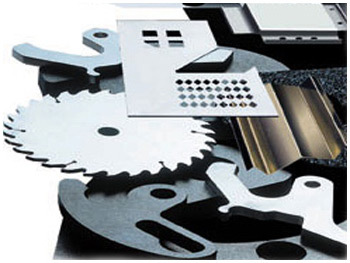 – 2, CNC LVD Strippit 1250 H30 Combination Punch & Laser – Capacity 3/8" thick 60" x 160" sheet size. 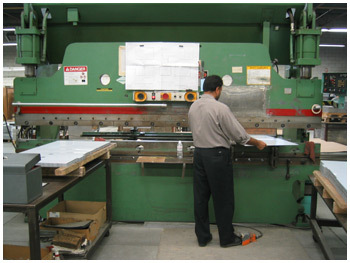 – 1, CNC LVD Strippit 1250 SXP30 Fabricentre, Capacity 3/8" thick 60" x 160" sheet size. – 1, Strippit AG Semi Automatic Punching Machine, Capacity 11 gauge mild steel. – 1, Strippit 30–40 HD Manual Punching Machine,Capacity 3/8" thick mild steel. – 1, Brown Boggs 40 Ton Punch Press. – 1, Rousell 20 Ton Punch Press. – 1, Strippit 8" x 8" Notcher‚ Capacity 10 gauge mild steel. 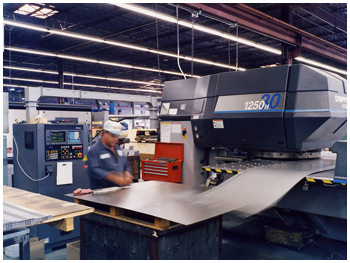 – 3‚ LVD Strippit 1250 H30 Combination Laser / Punch Machines‚ Capacity 3/8" thick 60" x 160" sheets. – 1‚ Kaufman 24" x 16 gauge capacity rolling mill with urethane rolls. – 2‚ Allsteel 10’ x 70 ton c/w two axis back–gauging. – 2‚ Allsteel 8’ x 45 ton c/w two axis back–gauging. – 1‚ Accubrake 12’ x 130 ton c/w two axis back–gauging. – 1‚ Cincinnati 12’ x 100 ton c/w computerized back–gauging. – 1‚ Cincinnati 12’ x 135 ton c/w Micrometer back–gauging. 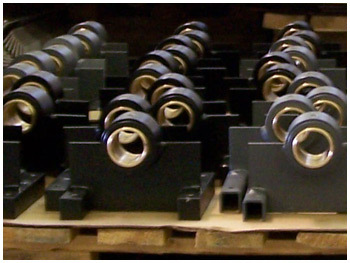 – 1‚ Cincinnati 12’ x 225 ton c/w Micrometer back–gauging. – 1‚ Accupress 8’ x 60 ton c/w two axis back–gauging. – 1‚ Chicago 6’ x 40 ton c/w Micrometer back–gauging. – 1‚ Verson 4’ x 15 ton c/w manual back–gauging. – 2‚ Bridgeport Vertical Milling Machines Capacity 26" L x 13" Dia. – 1‚ Tos Engine Lathe SN50C Capacity 20" Dia. – 1‚ Colchester Engine Lathe Capacity 12" Dia. – 1‚ Rigid Threading Machine Capacity 4" Dia. – 1‚ A.E.M. 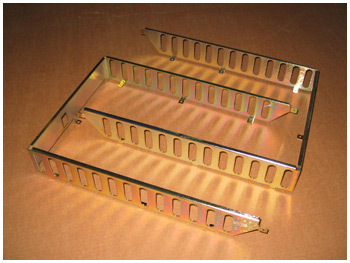 Deburring / Graining Centre Capacity 36" W.
We can supply finished parts, electro-plated, electro-polished, or anodized to our customer's specifications. 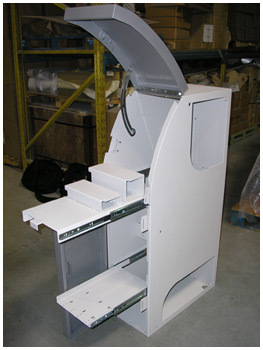 We can supply in-house silk screening services ranging from artwork and layout design through to multi color, flat and radius surface screening. – 2‚ Proceco Multi–Stage phosphate wash stations, Capacity up to 1000 lbs. and 38" dia. X 90" height. 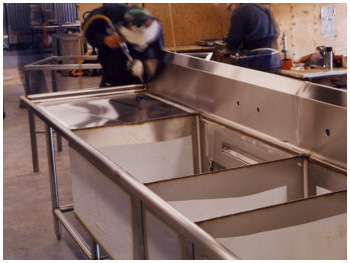 – 2‚ Pro Clean Paint stations, Capacity 9’ wide, 9’ deep, and 7’ height. 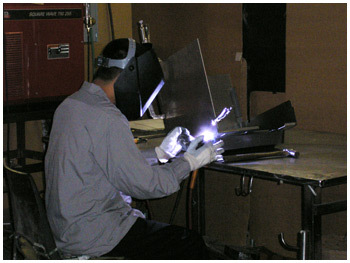 – 2‚ CGS Moore Air Batch ovens, Capacity 10’ wide, 12’ deep, 8’ height and up to 425 degrees Fahrenheit. 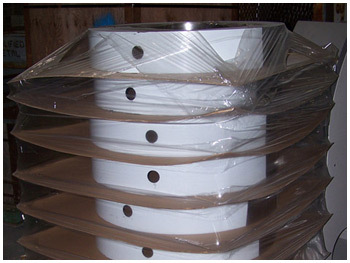 – Specialized masking and plugging is also available. we can supply our customers. 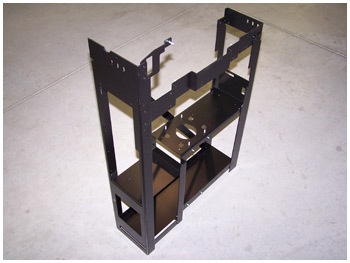 – Standard commercial packing & palletizing. 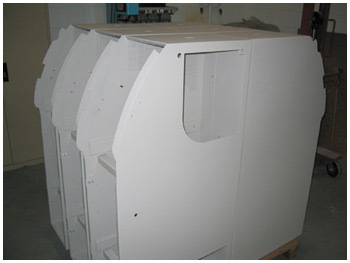 – MIL Standard Specification Crating. – Dedicated trailer & containerization. – INCO Term and Export freight.